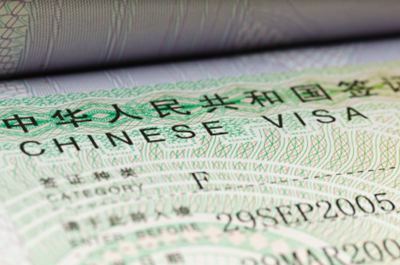 The application process for a Chinese visa can seem like a daunting and long process. However, if you follow the below steps and provide all of the correct documents you can find that the process is a lot easier than expected, no matter which visa you are applying for. This visa is for foreign nationals applying for tourism or for staying with family. This visa is valid for stays of up to 30 days. If you apply for a single entry visa this time period is valid from the date of your first entry into China. For double entry visas it will be valid for stays of up to 30 days, from the date of each entry into China. An original passport with at least 6 months validity. There must be at least two blank pages. 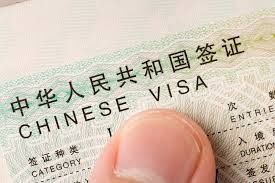 This visa is for is issued to a foreign citizen who is invited to China for visit, research, lecture, business, exchanges in the fields of science, technology, education, culture and sports, or attending various kinds of trade fairs or exhibitions, or short-term study, intern practice for a period of no more than 6 months. To apply for a business visa, a business invitation letter issued by a mainland Chinese inviter is required. It should on a Chinese company’s letterhead, with full address (should be in mainland China, Hong Kong address is not acceptable), company stamp, contact details. Within the content, it should include the travellers’ FULL name, including middle name, Passport number, purpose of the trip, and duration of the trip. It should be the original copy, or scan/copy, we can NOT accept e-mail format. Filling in the form should be straight-forward, with the form being in both English and Chinese. For any part of the form that you are not sure of, please contact China Holidays office on 020 7487 2999 or email visa@chinaholidays.com for assistance. In this section, you should fill in the addresses and contact numbers of any hotels that you will be staying at in China. If you are staying with a friend or family member, fill in their details. The visa can be applied for either in person at the visa centre offices, via post or with China Holidays’ Visa Service. Applying in person: There are three visa centres across the UK – in London, Manchester and Edinburgh. To apply in person first prepare all of the above documents as stated above. On the website of the visa centre make an online appointment for visiting the centre to drop off your documents. When you successfully hand in your documents, you will be given a ticket with a date and time to return and collect your visa. On the date of collection for a regular visa service (usually 4 working days later) return with your ticket, and collect your passport. Alternatively, when you drop off your passport and visa application documents, you can arrange for the passport to be posted back to you for an additional fee of £15. You can provide a Royal Mail special delivery envelope, or pay a further fee for the Visa Centre to provide you one. Applying via post: The overall process will usually take 5-14 days, and there is no express service available. Prepare all of the necessary documents along with your passport, and send them to your nearest visa centre with a Royal Mail Special Delivery envelope, with your address clearly written on the front. Postal applications are only payable by debit card, you must fill in and attach the payment authorisation form with your documents. For further information please check out our dedicate Visa Site, Email our dedicated Visa Specialist at visa@chinaholidays.com or call us on 020 7487 2999.